They haven’t obtained the local permits yet, but the press release states they expect to be open for business in the third quarter of 2019. Steep Hill began their cannabis laboratory testing business in California. Since their start in 2008, the company has grown rapidly, developing programs for regulatory compliance testing in medical and recreational cannabis markets. They have also ventured into research and development testing, licensing, genetics and remote testing. 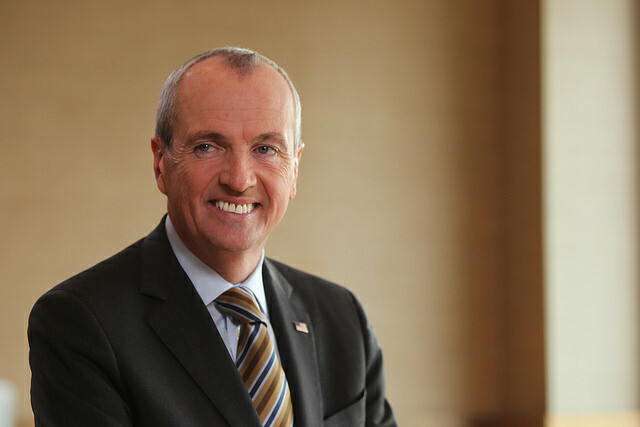 The company has a history of expanding into new markets via licensing partnerships, including states such as Washington D.C., Pennsylvania, Maryland, Oregon, Hawaii, among others. As recently as May of last year, Steep Hill announced they will expand their international footprint as well, including opening locations in countries like Mexico, Germany, Spain, France, Italy, Switzerland and the United Kingdom, all through their Canadian branch. As the German bid fiasco proves, and in spades, there is no easy transition out of prohibition. As of this April, it will be two years since the German Cannabis Agency issued its first cultivation bid. Since then, the first attempt went down in legal flames (in court) and the agency in charge, BfArM took an embarrassing hit for committing a “technical fault.” As of April, the second issuance gets its day in court. And then presumably, hopefully, cultivation can start to get going. However, the German cultivation bid is far from the only time that government officials and regulators have created canna Frankensteins. In every legalizing market so far, in fact, from Colorado’s recreational start in 2014 to Canada, lawsuits, flubs and mistakes have been the order of the day. There is a growing debate in Europe over how the cannabis industry should be allowed to flourish.States throughout the US continue to model their legalization frameworks off of states that have already done so. No wonder, then that as legalization rolls on, other countries are beginning to study the early movers- for tips on what to do and what to avoid. 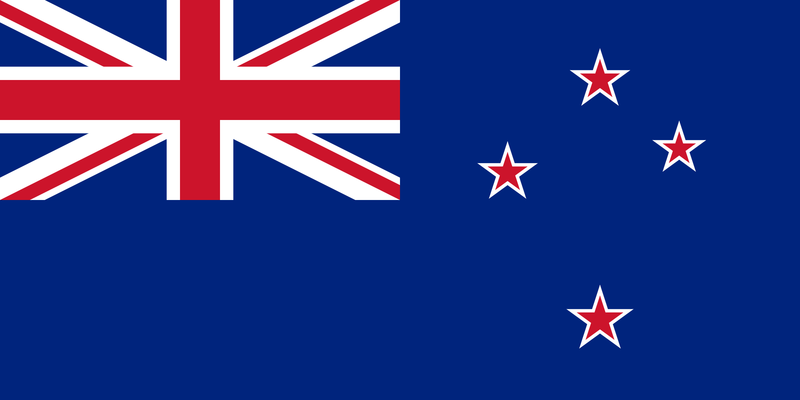 New Zealand is widely expected to become either the “next” country (or the one after that) to fully legalize recreational cannabis. Further it plans to do so during a national election (presumably ahead of the U.S. but that will be interesting to watch). New Zealand has jumped the gun already and put it on the electoral agenda. That leaves the Kiwis with at least another 18 months to consider how they might pull it off. Don’t forget, it took the Canadians that long, with one failed initiation date last summer that was pushed to the fall. And that was with a medical market that was already three years old. As of this month at least, New Zealanders are looking at several options, Portugal being one of them. Portugal gained distinction by decriminalizing all drugs at the turn of the century and has not looked back. The country has seen a steady decline in all the bad stuff associated with the black market. Overdoses, drug crime, teen use and HIV infections have all dropped dramatically. That said, for all Portugal’s forward motion, nobody else, yet, has quite followed suit. Decriminalization, it should be pointed out, is also only one of the many issues facing a national change in policy. As Canada knows well. The Greens in Luxembourg certainly made news last year when they announced that recreational cannabis legalization was on their five-year legislative plan. In a tip to both U.S. and Canadian discussions about how legalization can increase tax revenues, Luxembourgers are also clearly looking at how to follow suit. 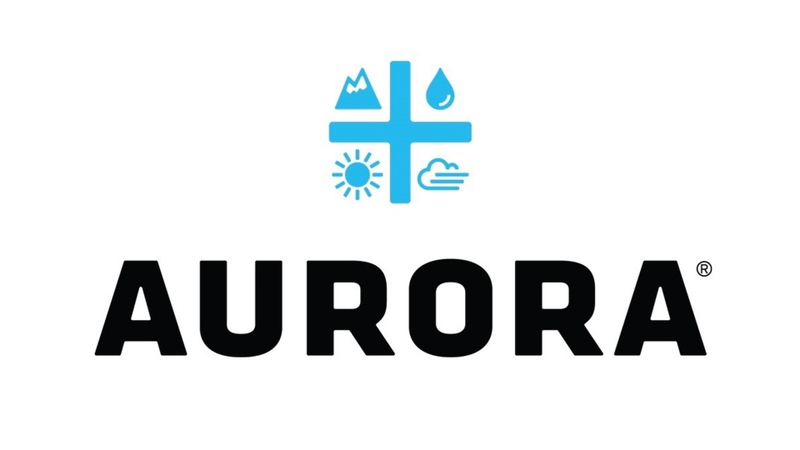 Aurora cannabis so far has the only distribution agreement inked with the country to provide medical supplies, but it is unknown at this point whether Luxembourg will be content to merely import or grow its own. One of the biggest problems Europeans will encounter immediately in looking at the Canadian transition to recreational use is that the government literally had to mandate an additional five-year period for medical use after the beginning of the recreational market. So far, at least, Luxembourgians appear to want to do this the other way around. They have already created a multi year test and study program for medical uses of the drug. There is a growing debate in Europe over how the cannabis industry should be allowed to flourish. On one end of the discussion who see no issues with the North American model of public companies, in particular, having the greatest influence over the shape of the industry. But this is not the only discussion in the room at this point, particularly given the huge head start the Canadian public companies now have in the rest of the world. In places like Spain and Thailand, for example, politicians are also starting to bring other models to the fore- including protectionist policies around domestic cannabis production. Regardless, compare and contrast is a trend that is still in its infancy as the market leaders struggle with the implications of half-baked policies and those who follow seek to emulate the successes but avoid the mistakes. It is hard to believe that two years have passed since the German government changed the law to mandate insurance coverage of cannabis by public health insurers. It is not so much the passing of time, but what has and what has not happened here on the ground during this stretch. This is borne out by a quick overview of regional developments just in the last few weeks on the ground across the European Union. The country that is still given credit for kicking off the whole medical cannabis enchilada discussion on a formal, federal level in Europe, still has not issued its first domestic cannabis cultivation tender. It will be two years this April since the initiative was first announced. Since then, several lawsuits have derailed the process, BfArM, the federal agency in charge of the tender, has admitted to a “technical fault,” and, presumably after the next round in court, the agency might be able to get on with business. The next date of note is April 10 (when the lawsuit will be heard in Dusseldorf). Hopefully, this also means that the domestic cultivation of cannabis will finally begin (according to the agency) by, at latest, the fourth quarter of 2020. In the meantime, look for the awarding of bid finalists (or in the worst case, one more bid issuance after April) this year. In the meantime, and even according to BfArM’s press statements, the import industry will fill in the gaps- meaning that by the time cultivation actually gets under way for real here, it will already be swamped, in terms of volume, by imports. Where those imports will come from is another discussion. Right now, the only two countries with import rights for cannabis into Deutschland are Holland and Canada. Expect that to change this year, with Israel, Portugal, Spain and potentially even Greece all being very likely contenders. Significantly, this tiny, non-EU but Schengen state is considering a pilot to study recreational cannabis. Namely, 5,000 recreational users could soon be recruited to help the government set the rules for a fully recreational market, presumably sometime in the near future. 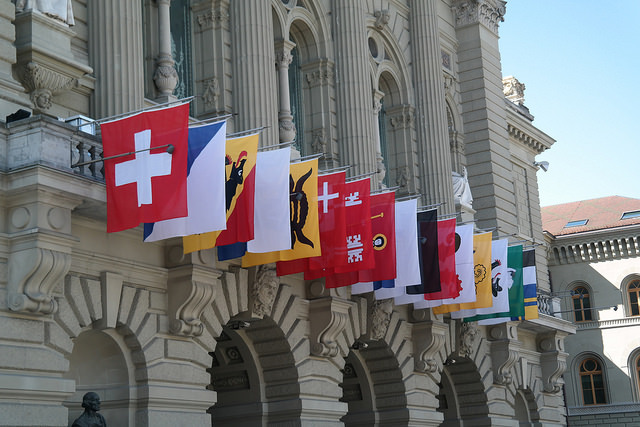 Switzerland has led the discussion in the region on several fronts- notably setting the pace on CBD sales and continuing to air debates about how profitable the fully recreational industry will be for the public purse. It is all very intriguing, particularly to neighbouring DACH state, Germany, but don’t expect the Swiss to do anything too outrageous on the legalization front- namely step too far out in front of either the UN or the European Parliament. Or anger their other DACH trade partner, Austria, who has taken the extreme polar opposite approach to all things CBD. So to the extent that the Swiss have very much led the charge on the CBD front, such policies have not and will certainly not be copied across Europe (and has not been so far) any time soon. See the controversies over “novel foods” popping up not only in Austria, but Spain too. Regardless, like Luxembourg, the Swiss are eyeing this new industry and proceeding cautiously in line with larger, international regulations that so far have led the pack on tweaking, testing and presumably changing in the next couple of years. There are at least 200,000 people who currently use the fully leaded THC version of the drug illegally. Those who would qualify for the pilot study (only one of several proposed as the country considers the impact of cannabinoids from all angles) would have to be adults who already use the drug. Stay tuned. This will certainly be one interesting trial. Belgium has also just announced the formation of its own “Cannabis Agency.” The new agency will, just as in Germany, oversee the development of the industry domestically- namely issuing licenses for production and import and overseeing quality. Does this mean a Belgian cultivation bid is on the horizon? Could be. Although so far, no country except Greece has engaged in any large-scale cultivation effort commissioned by the government. And no country except Germany has so far issued a public tender. Even Italy proceeded with a unique hybrid last year when the military essentially turned over the domestic production it controlled over to Aurora. This too is also likely to be an interesting space over the next few years. A Belgian tender, right along with a Polish one (also expected after BfArM successfully executes at least one) may well be in the offing this year. This may also put additional heat on the German agency to bite the bullet and issue cultivation licenses by the end of 2019 no matter what happens in Dusseldorf in April. Located on Sicily, Canapar is already established as a manufacturer and processor of CBD oil and concentrates. On its roadmap already is to become a leader in the CBD-infused cosmetics, skincare and beauty industry with the additional benefit of bearing the “Made in Italy” imprimatur. In addition to the upscale export market of course, Italy is Europe’s fourth largest consumer of such products. Canopy Rivers now owns 49% of the company. There has been much noise made about the CBD market in Europe, which even surprised experts by the end of year when it reached a magical 1-billion-euro sales cap. However, things are not all smooth sailing on this front, no matter how much the market exploded. With the success of CBD, in Switzerland, Spain and beyond, regulators in Europe began looking at how the entire enchilada was regulated. CBD isolates are falling into a very strange gray territory at the present across the continent. Why? As a plant extract, extracted CBD from cannabis absolutely falls into territory ruled “novel food” in the EU. In effect, what this means is that anything with CBD distillates that do not come from hemp, now requires an expensive licensing process to prove they are not harmful. In places like the UK, Spain and Austria, this became so contentious that police raided Spanish stores over health food products. The UK is now requiring tighter licensing and labelling for these products. Last December, the Austrians banned the entire industry. Take that, Switzerland! CBD distillate made from hemp, however, seems, for now, to have survived this battle, which is why the strategic investment of Canopy last December was also so intriguingly timed. Why? It appears to be the loophole in the EU in which CBD producers will have to hang their hats until the broader CBD question is answered satisfactorily at both the UN and EU level. Producing hemp distillate on the Italian island of Sicily also represents an interesting step for the entire cannabis industry as it develops in the country. There have been many efforts to legalize cannabis because this will then end the direct involvement of the Mafia. Perhaps the multi million investment from Canopy will be enough foreign capital to start to do the trick if not turn the tide. But Won’t CBD Just Be “Rescheduled” By the UN? There are many reasons why this is a strategic move for Canopy (if not producers moving in similar waters). Yes, CBD is likely to be descheduled by the UN at some point in the near future, but this still will not solve the larger question of “novel food” issues until the EU formally issues regulations on the same. Until then, EU will be a state by state hop for CBD, much as the United States has been so far. And will be, until that debate is settled across the EU at least, sourced from hemp. With Italian food products export just behind things like cosmetics, Canapar is clearly moving into strategic and potentially highly lucrative territory. It is official. British doctors as of November 1, 2018, can now write prescriptions for medical cannabis. But what does that really mean? And is this truly a victory or merely an opening in the fierce resistance to and outright battle against cannabinoids as medicine? A Real Victory Or Another Stall? Many in the advocacy community in Europe are profoundly split. On one hand, yes, the British decision, like other sovereign medical cannabis reforms in Europe over the last two years, is a victory. The British government, like many before it, has thrown in the towel on denying basic access to medical cannabis. But what does this mean, especially in a country which may well be facing shortages of basic food products and other kinds of medications in under half a year if things continue to blow up on Brexit and there is no “people’s vote” to save the day? Cultivated product would, normally, be slated to come from Portugal and Spain where Tilray and Canopy in particular have set up cultivation centers. If things continue to head to a negotiated Brexit, it is inevitable that imported cannabis would fall into the same category of everything else set to come into England by boat or lorry. It is highly unlikely that the NHS would authorize full payment for cannabis flown in from Canada. Especially with British Sugar’s existing cannabis plantations in Norfolk as well as the budding cultivation deals now finally flowering all over the country if not in Ireland.There are many who expect that medical cannabis will actually save public healthcare systems a great deal of money. Brexit Is The Bigger Worry, So What About Cannabis? In fact, the legalization of medical use in the UK, just as it is in countries across Europe (Germany being the best and most current ongoing example) will do much to shine a light on how creaky and outdated the medical provision system really is here. Especially when it comes to approving new drugs for large numbers of people quickly. This was, ultimately the goal of public healthcare. See penicillin, not to mention most inoculation drugs or vaccines for childhood diseases (like Polio). One of the great ironies of cannabis legalization in Europe of course is that it is also often shining a light on how far this concept, not to mention funds for proper delivery, has been allowed to lapse. There are many who expect that medical cannabis will actually save public healthcare systems a great deal of money. That is if it can finally make its way into widespread medical distribution. And cannabis is a drug like no other. Why? Despite all the pharmacization of the plant that is going on right now as producers are being forced to produce pills and oils for the medical market, cannabinoid treatments will not be pushed so easily into “orphan” status – since whole plant products can treat a range of diseases. This is important in terms of supply and negotiated prices down the road. But in the short term, cannabis is falling into a couple of strange categories created by organized public healthcare, insurance mandates (both public and private), the demands being placed on producers in this space to act more like pharmaceutical companies, limited public spending budgets, and a changing demographic where chronic conditions treated by cannabis are a whole new ballgame. Namely patients are living longer, and not necessarily old. So while it is all very well and good for British doctors to begin to write prescriptions for cannabis, merely having one does little good for most patients. In fact, this usually means the battle is only half won. As foreign as it is to most Americans, most European countries operate more or less the same way when it comes to healthcare. First of all, all of the national systems in operation in Europe today, including the UK, were set up in the aftermath of WWII to recover from devastation most Americans, especially today, never experienced personally. These healthcare systems were set up to first and foremost be inclusive. In other words, the default is that you are covered. 90% of populations across Europe in fact, including the UK, are covered by their national healthcare systems. “Private” health insurance actually only covers about 10% of the population and in some countries, like Germany, is mandatory once annual income rises above a certain level. However this system is also based on a very old fashioned notion of not only medical care, but treatment of chronic conditions. Namely, that most people (the mostly well) face low prices for most drugs. Further, the people first in line to get “experimental” or “last use” drugs (as cannabis is currently categorized in Europe no matter its rescheduling in the UK), are patients in hospitals. With the exception of terminal patients, of course, that is no longer the case. Patients in the UK can expect to face the same kinds of access problems in the UK as in Germany.That is why, for example, so many disabled people began to sue the German government last year. They could not afford treatment until their insurer approved it. Monthly supplies in legal pharmacies are running around $3,000 per month for flower. Or about 8 times the total cash budget such people have to live on (in total) on a monthly basis. In fact, because of this huge cost, approvals for drugs like cannabis do not actually happen at the front line of the insurance approving process, but are rather kicked back to regional (often state) approvals boards. As a result, approval for the right to take the drug with some or all of the cost covered by insurance, is actually limited to a much smaller pool of people right now – namely the terminally ill in hospital care. In Germany, the only people who are automatically approved for medical cannabis once a doctor writes the prescription, are the terminally ill. For everyone else it is a crapshoot. Between 35-40% of all applications in Germany are being turned down a year and a half into medical legalization. Some patients are being told they will have to wait until next year or even 2020. And once that prescription is actually approved? Patients in the UK can expect to face the same kinds of access problems in the UK as in Germany. Namely pharmacies do not readily stock the drug in any form. In the meantime, patients are turning back to the black market. While the online pharmacy discussion is different in the UK than Germany, which might in fact make a huge difference for the right approvals system, most patients in the UK still face a long fight for easy and affordable access covered by public healthcare. 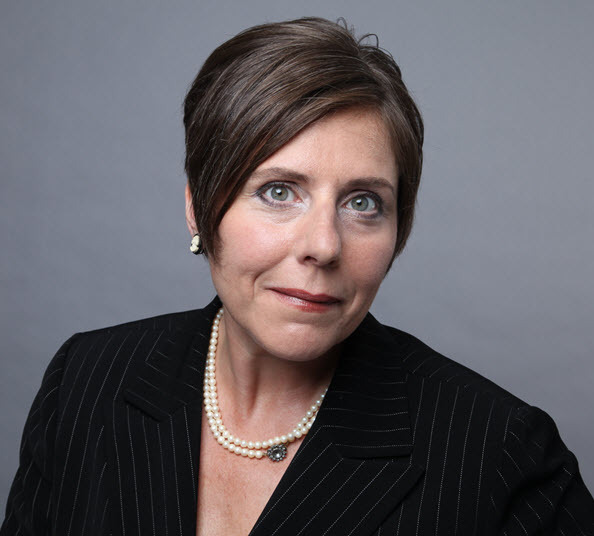 Disclaimer: Marguerite Arnold is now in negotiations for a pilot of her digital prescription and insurance pre-approvals and automization platform called MedPayRx in several European countries including the UK, Germany, and a few others. Canopy Growth Corporation, continues to move aggressively across Europe to solidify its presence across the continent. As of the beginning of November, Canopy’s European HQ in Frankfurt announced that the company is currently eyeing additional cultivation sites in Spain, Italy and Greece. Aphria is also making news. The producer has just announced that it is seeking EU GMP certification and its intention to buy existing German distributor CC Pharma, with distribution reach to 13,000 pharmacies. Earlier in the year, Aphria acquired German Nuuvera, a global cannabis company currently exploring opportunities in Israel and Italy beyond Germany. But that is also not the only thing going on “in town.” Wayland Corp also has announced recently that it is going to be producing in Italy in a unique cleantech, biogas fueled facility, and even more interestingly, working with a university on high-tech absorption techniques to help standardize dosing for (at present) CBD. Buoyed by their experience in the Canadian market, LPs are now focusing on Europe with even more intensity as the drama over the German cultivation bid, British schedule II access (no matter what happens with Brexit), and medical cannabis reform itself unfold. As a group, they have money and talent, but are now also aware that they are not the only game around. Producers from the rest of the world, including South America, are increasingly eyeing the European market, frequently in combination with Canadian corporate ties (see ICC and Hexo). So are institutional investors (from the U.S. in particular). The European market represents, as a region, the first real medical market anywhere and a healthcare system set to absorb a great deal of cannabis sales. One thing is also increasingly crystal clear. Not being in the room, especially at the top industry conferences now establishing themselves across the continent, but even more particularly in Germany, is the best way to be locked out of a highly valuable and rapidly expanding market. With all the attention on the pending regs for the recreational industry in Canada plus the huge medical market under construction in the EU, it is easy to forget the other cannabis discussion in the room right now. Namely CBD in commercial food ingredients and supplements. Battles in the beauty space, while surfacing, are still much less avidly fought. As a result, edible CBD is also rapidly becoming (another) big green elephant in the room. Globally. Starting with all the changing rules about mostly medical use of cannabinoids in general. This is underway, sort of, in the United States, driven by state regulations and consumer protection initiatives, but delayed on a federal level by the fact that CBD is still scheduled, like THC, as a Schedule I drug. In Europe, however, this is already a different animal. The regulatory hammer also appears to be coming down in strategic country markets, with strange hybrid fights and issues emerging as a result. For example, as cannabis crops (designed for both markets) begin to flourish in Spain buoyed by both the clubs in Barcelona and the growth of legitimate medical and other kinds of cannabis cultivation across the country – and much of that for export, authorities are cracking down on a federal level about labelling of not cannabis bound for clubs, but the CBD used in edibles. In the last month, CBD industry blogs are reporting that the Spanish government is sending both warning letters to distributors and the police are apparently taking products off of shelves directly. For all the direct showdowns about the cannabis plant this year, not to mention CBD, including British children ending up in hospital, this has got to make the top five list. The current complications have their roots in both the regulation of medical cannabis, health supplements and what are called “novelty” food items. The food issue has been cooking for several years and for botanicals and additives far from cannabidiol. This year, on January 1, however, the entire EU brought in a new directive about the use of certain plants in food which seems to be affecting the edible cannabis conversation all over the continent. That said, countries are interpreting the same at different speeds and with different enthusiasm. Switzerland (not a member of the EU) is actually the only country on the European continent where so far, things have gone relatively smoothly. Their lack of EU membership is actually why. This also does not mean they have overcome some of the larger problems inherent in this entire discussion, but, if things go to form, it will be relatively drama free. That is not the case in other places. For example, at the end of 2016, British authorities made a splash about medical labelling with the Medicine and Health Care products Regulatory Agency (MHRA) also leaving the entire edibles discussion in limbo. Technically, low strength CBD can be sold in the UK but it must be labelled as a food product if not specifically made for the medical market. That flap is likely to take off again with the direct competition now of not only Tilray but Namaste and the changing scheduling of cannabis in the UK to a Schedule II in October. See the recent furore over the “unauthorized claims” supposedly made by the nascent Cannabis Trades Association in meeting, lobbying if not “working” with local authorities. The organization has literally blossomed within the last 18 months to over 300 members and 1,200 sellers in part to figure out what exactly the rules are, as authorities grapple with changing times. Now jump the channel to Spain. The international focus of late has not been just the medical cannabis now sprouting in greenhouses owned by established pharmaceutical companies, or that bound for semi medical use in Barcelona, but the entire CBD edibles discussion. On some levels, it is clearly an attempt to continue to set less than grey rules for the Spanish cannabis industry, which even in the club scene is regulating. But beyond that, this fight is altogether more complicated, and far from just regional, or even just a Spanish conversation. One does not have to be an industry analyst to know this clearly excludes all parts of the cannabis plant. Everywhere. This is why the situation now unfolding in Spain is all the more worrying for the industry across Europe. In Spain at least, the crackdown appears to be on any food item containing cannabis, which, according to European-wide regulations, has yet to be classified as a “novel food.” Namely, a food product which has not been consumed in a significant degree in the EU before May 15, 1987. See the guide for new applicants here. Where Does This Leave The CBD Industry Across Europe? Here is the critical take-away. Regulation is coming to the entire industry in Europe in a way unseen in both Canada and the U.S. and from a much more granular perspective. What “reigns in Spain” in other words right now, is a wake-up call for CBD producers across the continent, even if not involved in the medical space. Not to mention both U.S. and Canadian producers (in particular) looking for profitable market entry strategies. Labelling and standards, in other words, are clearly on the way, and beyond the drawing board, for all cannabinoids, not just those of the “medical” kind. In the meantime, edible CBD products in Europe and in every country are ripe for the institution of new guidelines that are, as yet, formalized. 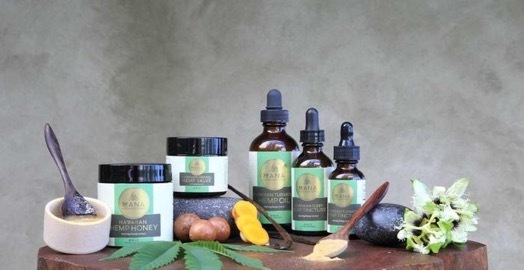 Both producers and distributors, therefore, could easily face labelling problems for all their CBD products and product lines for the next several years. Lessthan a week after Cannabis Industry Journal reported that BfArM had finally cancelled the first German tender bid for cannabis cultivation, and after refusing to confirm the story to this outlet, the agency quietly posted the new one online, at 3.45pm Central European Time, July 19. For those who have not seen it yet, here is a first look at the “new” bid auf Deutsch. It is basically identical to the last one. For the most part, Europe is shaping up to be a high volume ex-im market.For now, that is all that exists. However,a move is on in Europe to translate the bid into English. Why? To hold BfArM accountable. And to help educate all the foreign and for the most part, non-German speaking investors who want to know what is required to get the bid in the first place. The process last time left a great deal to be desired. Apart from this, however, very little seems to have changed from the last time. Notably,the amount to be grown domestically is the same. This means that the government is deliberately setting production below already established demand. 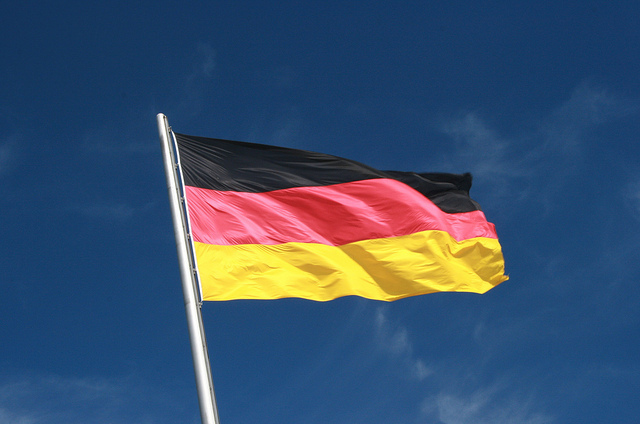 As has become increasingly clear, the German government at leastdoes not want to step into the cultivation ring. Further,because they are being forced to, the government wants to proceed slowly. That means that for at least the next couple of years, barring local developments, it is actively creating a market where imports are the only kind of cannabis widely available – for any purpose. And in this case, strictly medical. With many, many restrictions. Starting with no advertising. For the most part, Europe is shaping up to be a high volume ex-im market. This was already in the offing even last year when Tilray announced the constructionof their Portuguese facilities last summer, and Aurora and Canopy began expanding all over the continent, starting in Denmark, but hardly limited to the same. These days it is not the extreme west of Europe (Spain and Portugal) that are the hot growingareas, but the Balkans and Greece. Cheap labour, real estate and GMP standards are the three magic words to market entry. There are several intriguing possibilities at this point. The simple answer is that the current environment is simply not sustainable. In an environment where the clearing firm for all German securities has refused to clear any and all cannabis related North American public cannabis company stock purchases from Germans (and just updated the list to include companies like Growlife), citing “legal reasons,” it is clear the “fight” (read banking and finance) has clearly now landed in Europe. The significance of all of this? Clearly, it is two-fold. The first is to deleverage the power of financial success as a way of legitimizing the drug if not the “movement.” Further, if Germans want to profit from the legal cannabis market it is going to be very difficult. See the bid last year beyond this new development. That means everyone else is going to have to get creative. The industry, advocates and patients have seen similar moves before. 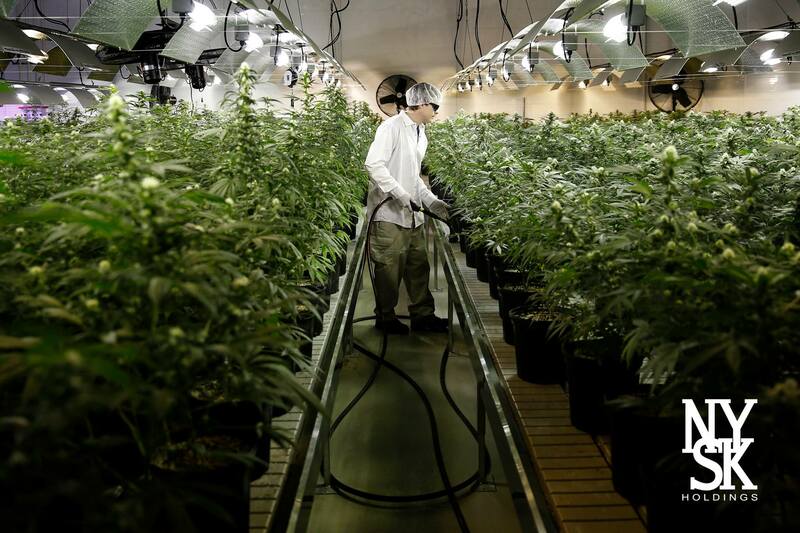 Patient access and profitability are not necessarily the same thing.An increasing numbers of companies are finding ways around being cultivators to get their product into the country anyway. The only problem with such strategies, just like banning German firms from competing in the bid, is that “prohibition” of this kind never works. It will not keep cannabis out of Germany. The vast majority of the medical cannabis consumed by patients in Germany will come from the extremes – of east and western Europe – with Canadian, Dutch and even Danish stockpiles used as necessary. It will also not discourage the domestic cannabis movement here, which is critical as ever in keeping powerful feet to the fire. It will also not discourage German firms from entering the market – in a variety of creative ways. Most German cannabis companies are not public, and most are setting themselves up as processors and distributors rather than growers. So in summary, the bid is back. But this time, it is absolutely not as “bad” as ever. An increasing numbers of companies are finding ways around being cultivators to get their product into the country anyway. As for raising money via public offerings? There are plenty of other countries where the publicly listed, now banned North American companies can raise funds on public exchanges (see Sweden and Denmark) as they target the cannabis fortress Deutschland. The Canadian cannabis community has just gotten a new member. Tree of Knowledge, Inc. just became Canada’s newest public cannabis company. The company is also planning on raising $10 million in private placement capital. According to the company’s most current pitch deck, the planned use of proceeds includes $6.5 million for new capex expenditures in Canada and Macedonia plus new product development. The rest is slated for patient and doctor outreach including via social media, new hires and working capital. Who Is Tree of Knowledge Inc.? Founded originally in Washington State in 2015, today TOK has a global market presence with CBD products on three continents and is already positioning itself to run with the big boys on the international scene, just on its CBD footprint. In the online marketplace, they are doing business as EVR CBD. That includes state markets in the United States, Europe, South America, Australia and China. The company also has a distinguished board that includes doctors to former professional sports stars. As of April, the company engaged in a reverse merger with Courtland Capital, a Nevada subsidiary company. And as of July 2018, the company purchased 5% of NYSK Holdings – a rapidly establishing Macedonian start-up with an eye to the European market – starting with Germany. 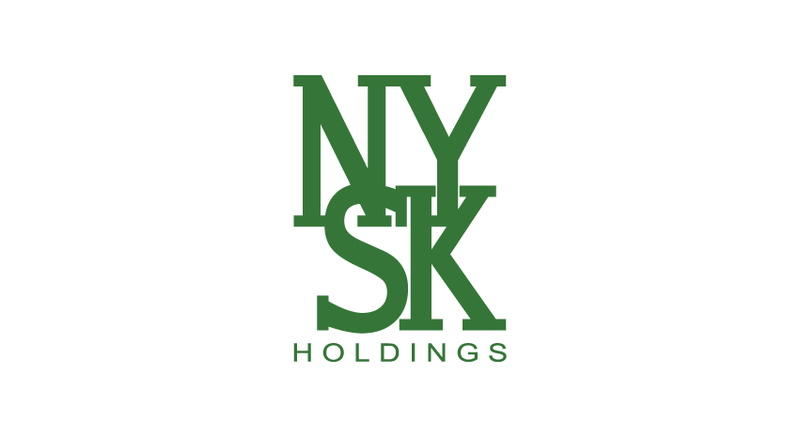 NYSK Holdings is absolutely on an upward trajectory. The company, founded by Americans with strong ties to the home country along with local partners, broke ground in Skopje, Macedonia last year. Company principals have been exploring entry into the European market ever since (Macedonia may be in the Balkans, but it is technically not part of the EU). Significantly, this also means that producers there are used to meeting European specs for import purposes, if not hopeful EU inclusion. Like other EU partners in the west however, (notably Spain and Portugal) labour rates are also much lower than in Germany. This creates a new avenue into the EU and the German market, which is now going to be an import-dominant one until 2020. What is even more interesting about NYSK? They produce GMP-certified product – both THC and CBD. They have been looking for partners for most of this year. They also had a booth at the ICBC in Berlin, an experience that they found highly satisfactory. Their strategic importance to TOK is also large. 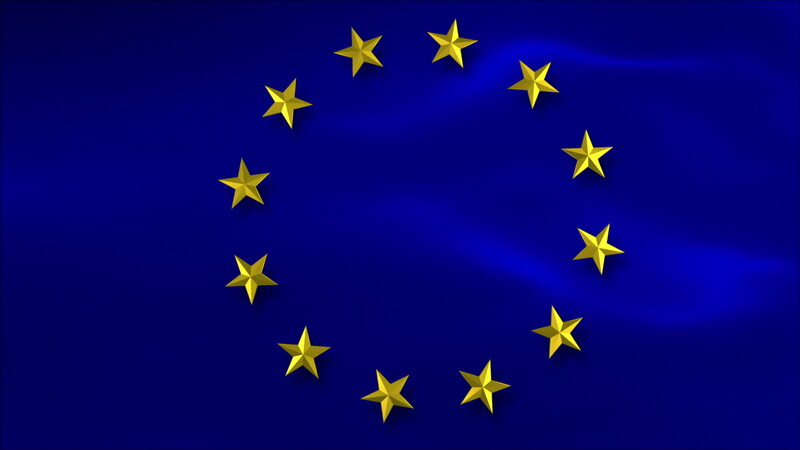 NYSK brings, for the first time, THC products and high-tech processing capacity adjacent to the European Union to a firm with a global footprint. They might, in other words, have been Europe’s most under-priced production facility. Don’t expect that to last long. One glance at TOK’s founders, board, andadvisors is enough to establish that this is a company of mostly older Gen X and younger Boomer heavy hitters from other industries who are pooling resources and knowledge to step into a global medical cannabis space. Smartly. For example, the focus on dosing control, trials and an operational, GMP-certified production facility in Macedonia, plus their Canadian footprint, makes TOK and their partners well suited for “European invasion.” So does their first product – a CBD-based sleep aid. This creates, in other words, a company with Canadian and Macedonian production, American entry and global reach, including into countries other cannabis companies have so far not breached (see China), with an interesting, low-cost, lower risk entry profile. Their expanded market entry is also occurring right at a time when Europe, including the about to be Brexited UK, is now moving forward on medical reform sans very much local production. Perhaps this comes from the experience of the principals. TOK Cofounder Michael Caridi started his involvement in the cannabis industry in Washington State in 2014 after a successful real estate and promotions career on the East Coast (New York) and experience in ex-im. However, Caridi rapidly grew disillusioned with the state’s focus if not an obsessionon a more recreational space than medical users. He and Brian Main, now president of US operations, founded TOK a year later. Current CEO, John-Paul Gaillard, has a history that includes the creator of the Marlboro Classics brand and a stint as the CEO of Nestle Nespresso who put the idea on the map if not kitchen counters globally. No newbies here when it comes to global market strategies, penetration and experience. Both companies to watch, for sure. It is old news that Canadian companies are entering the European market. And it is also no stop-the-presses flash that Germany is a big prize in all of this. But there are other Euro markets to watch right now. Switzerland is one of them. Look for the Canadian influx here too. One of the more interesting entrants this month? Green Relief – a Canadian LP with a really unique twist. They are the only company in the world to produce cannabis oil from flower grown with aquaponics. This unique method creates unbelievably “clean” cannabis with no pesticides – and no residue of them. It also sets the company up for a really unique market opportunity on the ground outside Canada. Especially as they have now just announced a partnership with two Swiss companies– Ai Fame GmbH and Ai Lab Swiss AG. Both companies have been leading European pharmaceutical companies since the turn of the century. The idea is to leverage all three company’s intellectual capital with Green Relief’s additional and first international investment with an eye to the entire European cannabis market. Ai Fame specializes in cultivation, manufacturing, sales and distribution to both the food and medical sectors. Ai Lab Swiss AG operates as a laboratory and testing facility.Less than three weeks before Green Relief publicized their European announcement, there were also strategic developments afoot at home. From this unique perch in the Swiss canton of St Gallen, the three companies are setting up to conquer Europe. Why Is Switzerland So Strategic? Switzerland has been on the legalization track since 2011. As of this date, the Swiss government began allowing adults to buy and use CBD-only cannabis. Shops were allowed to obtain licenses. A trickle of sales began. However, rather suddenly, as reform hit Europe, the craze took off. Last year, for the first time, the industry generated a significant amount of revenue (close to $100 million). That is $25 million for the government via taxes- just on CBD sales. Even more intriguing for those looking for market opportunity across borders? Less than a week ago, the German-based budget discount store Lidl just announced they were carrying smokeable CBD – in Swiss grocery stores. The leap across the border is imminent. That has opened up other conversations, including the “legalize everything” push that makes an awful lot of sense to the ever tax-aware Swiss. This is a push afoot just about everywhere across the continent, including, of course, just across the border in Germany. The cities of Zurich and the cantons of both Winterthur and St Gallen (home of the Swiss companies behind the new venture with Green Relief) have already indicated that they will not pursue possession fines for those busted with 10 grams or less– no matter what kind and even of the THC variety. Read between the lines, and it is clear that the cannabinoid conversation locally has begun to attract the Canadians. And not just because of the many opportunities of the Swiss CBD market – but the huge medical and THC German and European opportunities now opening beyond that. No matter which way Green Relief and their new partners slice it, they are now in the game – and across Europe – with a unique new play and product, and further one set to enter both the medical THC and “consumer,” albeit still CBD, market now burgeoning. Here is the truly interesting part about this new announcement. Less than three weeks before Green Relief publicized their European announcement, there were also strategic developments afoot at home. Cannabis Growth Opportunity Corporation also just announced an investment in Green Relief. The share purchase agreement netted Green Relief $750,000 in both cash and common shares. With this, Green Relief seems to have set sail on its European expansion. Look for more interesting turns to this developing saga soon!